Tonight in my COM 115 Introduction to Design and Digital Media Environments class at the College of Staten Island, we are learning how to make animated GIFs. Using this original source photo I took in the East Village yesterday, I made these three demo animations in Flash, and then exported them as animated GIFs for the web. 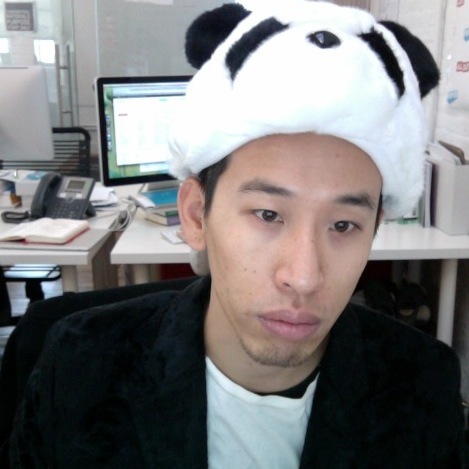 My Halloween costume: a furry panda hat I bought from a street vendor in SoHo, and my plush velvet suit I bought in Reykjavík way back in 2000. Posted on October 31, 2011 Categories Animals, Personal, Photography, PicturesTags Costume, Halloween, PandaLeave a comment on PANDA! Ni Hao You Doin’? – A new Hepnova shirt on Zazzle in collaboration with Joey G.
We were hanging out in Little Italy/Chinatown tonight and Joe came up with this brilliant bilingual pun that celebrates the confluence of cultures in a pizza/scallion pancake slice of Lower Manhattan with classic New York wit and attitude. Here’s to pasta and to potstickers and to Sino-Italian-American friendship! Ni hao you doin’? 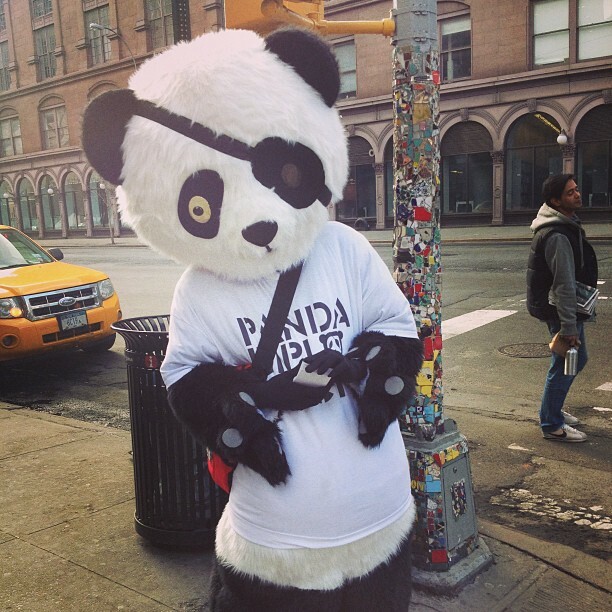 Posted on May 18, 2010 May 18, 2010 Categories Animals, Art, China, Culture, Design, DIY, Fashion, Fun, HEPNOVA, New York, NYC, ZazzleTags Bear, Chinatown, Chinese, Humor, Italian, Little Italy, Panda, t-shirt1 Comment on Ni Hao You Doin’?